Many products get publicity and special recognition during the year. But in Kansas, if any product deserves its own month, it's beef. That's why Kansas Gov. Jeff Colyer has declared May as Beef Month in the state. This declaration makes this the 34th consecutive year beef has received this honor. According to Kevin Thielen, executive director of the Kansas Beef Council, the value of beef to the economy and social fabric of the state is remarkable. 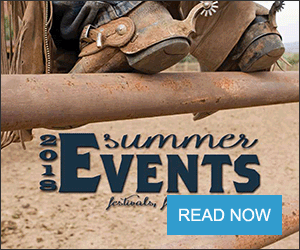 "With more than 6.3 million cattle on ranches and in feedyards in the state, Kansas ranks third in the country," Thielen said. "That's more than twice the state's human population. Kansas cattle producers are proud of the nutritious, delicious beef they help bring to tables in this state, across the country and around the world." Kansas has about 46 million acres of farm ground. Not all of this land can be used to grow crops, however. Grazing cattle is an ideal technique for efficiently utilizing grasses and plants growing on over 15.5 million acres of Kansas pasture and rangeland. These acres would be wasted if not for ruminants like cattle that can turn these resources into essential protein and nutrients for humans. 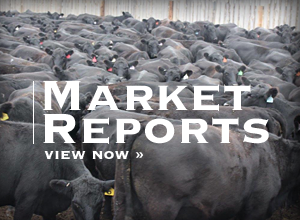 Kansas also ranked second in fed cattle marketed, with 4.94 million in 2017. Beef cattle and calves represented 50.8 percent of the 2016 Kansas agricultural cash receipts. The effect of the beef industry on employment is significant as well. According to the American Meat Institute, Kansas companies that produce, process, distribute and sell meat and poultry products employ as many as 19,798 people, while generating an additional 50,852 jobs in supplier and associated industries. These include jobs in companies supplying goods and services to manufacturers, distributors and retailers, as well as those depending on sales to workers in the meat industry. The product they help bring to market is one that contributes substantially to the human diet. Beef provides 10 essential nutrients, including zinc, iron, protein and B vitamins. It does all this for only 150 calories per 3-ounce serving. In fact, a serving of beef provides the same amount of protein as three servings (1½ cups) of cooked black beans, which have 341 calories. Kansas ranchers and feeders are committed to producing beef responsibly and sustainably, Thielen said. But beef production refined over many generations is only part of the story. Producers also keep consumer needs and wants top of mind.